One of the things that has annoyed me about WordPress for a long time is the inability to display an article count next to each tag in a list (or within a tag cloud). On my archives page, I’ve always had the article count listed next to each month, category and author, but it’s been noticeably absent from the tags list. So just this week when I was redesigning my blog yet again, (this time only two files changed – the CSS file and icon sprite), I decided to have another look at my theme’s archives page and see if there was anything I could do about it. 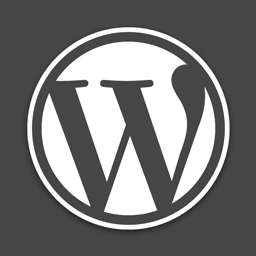 I started by searching on Google and then by reading the documentation on WordPress.org for wp_tag_cloud();, and I still couldn’t find a WordPress-based solution to it, so I knew I’d have to tackle it with PHP alone. When you use wp_tag_cloud('format=array');, it returns the tag cloud as an array, with each tag in the format: <a href="/tag/alberta/" class="tag-link-27" title="46 topics" style="font-size: 1em;">alberta</a>. So from there, I’m using PHP’s SimpleXML functions to re-format the tag cloud with the article counts appended. Obviously, there are other ways to parse that string without using SimpleXML (using only string functions), but this was the quickest and simplest way that occurred to me. I like short and simple. WordPress Tag Cloud with Post Counts was published on Friday, September 30, 2011 at 11:42am EDT by Daniel Menjívar and last updated on April 11, 2018 at 9:30pm UTC .